1 – HOW DO I BOOK A CIRCUS OR VARITY ARTIST FOR MY EVENT? Simply, call or email. We have the experience and knowledge of working with entertainers for all kinds of events; we will work with you every step of the way and find you the perfect performer. We know what works, and love sharing and creating ideas for all our clients. 2 – WHY IS USING AN AGENCY BETTER THAN DIRECTLY HIRING AN ARTIST? Our ultimate goal is to make sure our customers are satisfied. If our customers are satisfied, then they will spread the word about our services. We take the Risk out of booking an entertainer. We know who’s good and who’s NOT! We will send you Bios and Videos of the artist acts to view. We also write entertainment contracts on a regular basis. As a one-time buyer these Acts may not be as truthful with you as they would be with an agency that will book them more often. On top of that, some Acts may misrepresent their talents in order to secure a date. When it comes to sorting out a price, we have the negotiating power that a one-time buyer just doesn’t have. We are able to get you the best price possible. Instead of you having to make numerous calls on your own, you will only need one point of contact. By selecting Cirque Journey, you will be receiving the best professional service without having to pay any additional fees. It’s a win-win! 3 – HOW DOES CIRQUE JOURNEY TALENT AGENCY GET PAID? Our 10% fee is worked out with the entertainer. Our Agency will not add a commission, but rather the performers offer themselves at a lower net price to the agency to compensate for their marketing, sales, and promotion expenses. The cost is the same, and sometimes even cheaper if you use our Agency. A professional entertainer understands the importance of having an agent that will book him for numerous shows. Remember, we are entertainers too, and our agency has both the client and entertainers best interest in mind. We will make sure that both parties are taken care of. We want every client to come back to us, and we also want the entertainer to trust us, and put on a Great show. A happy entertainer, a happy client! 4 – HOW SOON DO I NEED TO CONFIRM AN ENTERTAINER FOR MY EVENT? While most of the entertainers prefer to be booked between 3 and 6 months in advance, it depends on the time of year as well as what type of entertainer they are. Some of the incredibly popular entertainers prefer to be booked up to a year in advance. If you happen to have been busy planning your event, and an entertainer slipped your mind, then don’t worry! We take great pride in finding every one of our clients an entertainer that works to their needs, regardless of when you book the act. 5 – WHAT IF I CAN’T FIND AN ENTERTAINER I AM LOOKING FOR ON YOUR ROSTER? 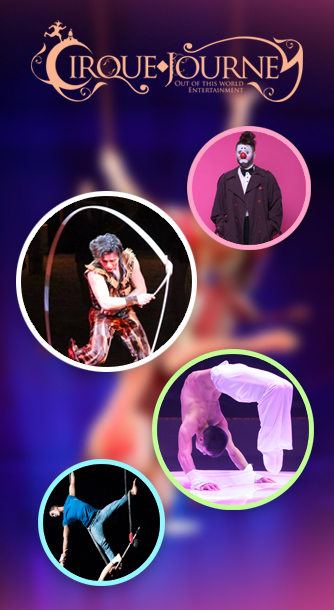 Cirque Journey has hundreds of great entertainers, and can get you virtually anybody you desire. Let us know who you are looking for, and we can get in touch with them. We love what we do, always work hard, and will get you Quality Entertainment at the Best Price! 6 – DO YOUR ACTS TRAVEL? 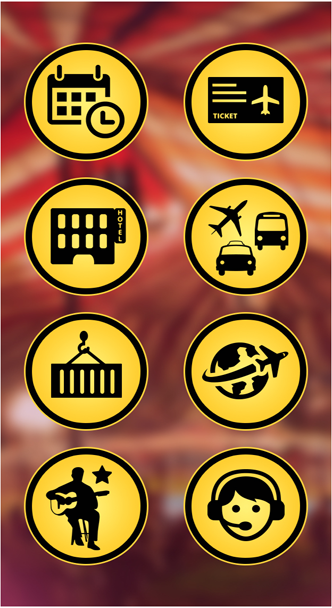 Yes, our Acts come from all over the World and travel everywhere. We also book local, regional, and Global Acts for any type of event. 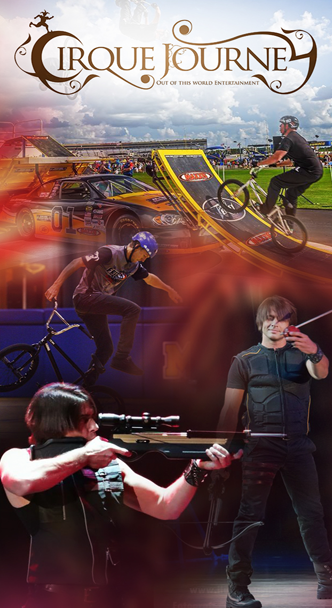 We specialize in Circus & Variety Acts for Concerts, Fairs, Expos, Trade Shows, Private Events, Casinos, Cruise Ships and Corporate Events Worldwide. 7 – IS A DEPOSIT REQUIRED AND IF SO, HOW MUCH WILL IT BE? A deposit is necessary and will be requested upon the signing of the contract. Deposits will range between 20% and 50% and is in place to confirm that the show will happen. Not only is this beneficial to the entertainer, but it benefits by knowing that the entertainer will not let you down. On the day of the performance, although this depends on the entertainer, the final payment will have to be made. 8 – HOW DO WE PAY THE DEPOSIT? We allow that you pay the deposit payment in whichever way you see fit (CREDIT CARD, CHECK, MONEY ORDER), although the bill must be paid directly to the entertainer by either a check or a money order, and must be given to the entertainer on the day of the show. 9 – WHY IS THERE NO PRICES LISTED ON THE WEBSITE? Given the huge variety of entertainers that we have, and given that each of them all have different ranging prices, it would be incredibly difficult to keep all of our prices up to date. A rough price estimate for our entertainers would be around $350 for beginner acts, $800 for semi-professional acts, and for a professional elite entertainer the prices will most likely be found from $2,500 and upwards. There are a lot of factors that contribute to how the price is calculated. The date, the location, the time, the act itself. With all of those in mind, the price of all entertainers will vary a lot. 10 – WHAT IF THE EVENT HAS TO CANCEL FOR WEATHER OR ILLNESSES? 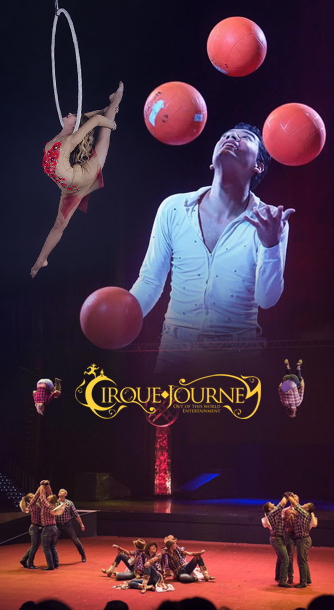 Cirque Journey is easy to work with, and will help you to re-schedule an event if it gets cancelled because of Weather, Sickness, Death, or any other “Act of God.” Our Deposit of 20% to 50% is Non-Refundable, but can be used when you re-schedule. If our entertainer gets to the show, and you have to cancel at the last minute, full payment must be paid to the entertainer. However, that entertainer will re-schedule within 90 days, and perform on a date agreed by both entertainer and client, for Free (plus a small fee for travel expenses) when he comes back. Please keep in mind, that when you sign a contract and decide to book an entertainer, he reserves that date for you, and turns down all other offers. Also, if our entertainer cannot make it to your show because of Weather, Sickness, Death, etc., we will find you a comparable replacement, or refund your money. This is another reason to use Cirque Journey Entertainment, since we have many Quality entertainers that we know well and work with regularly. 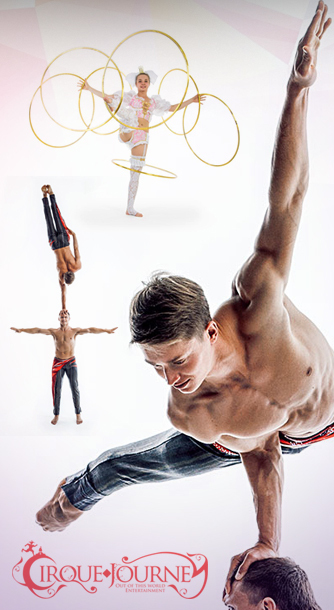 Cirque Journey is guaranteed to wow your audience. 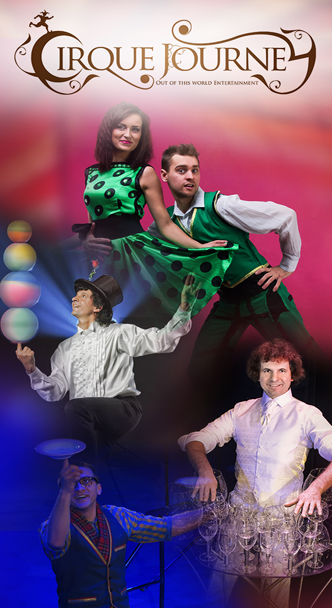 We aim to find, source and represent the very best in the industry for Circus & Variety artists from all around the globe. We aim to provide clients with individual care, quick communication and excellent service. We will carefully select our talent and only send the artists qualified to meet the needs of the project. CJE will remain available throughout to support clients and do everything possible to ensure that all talent is on time, professional and as represented in their profiles.